Capps, J. (Producer), Jones, J. (Producer), Michie, J. (Producer), Murphy, J. (Producer). Fraiman, E. (Director), Hawes, J. (Director), Moore, D. (Director), Orme, S. (Director), & Webb, J. (Director). (2010). Merlin: The complete first season [TV series]. United Kingdom: BBC Worldwide America. 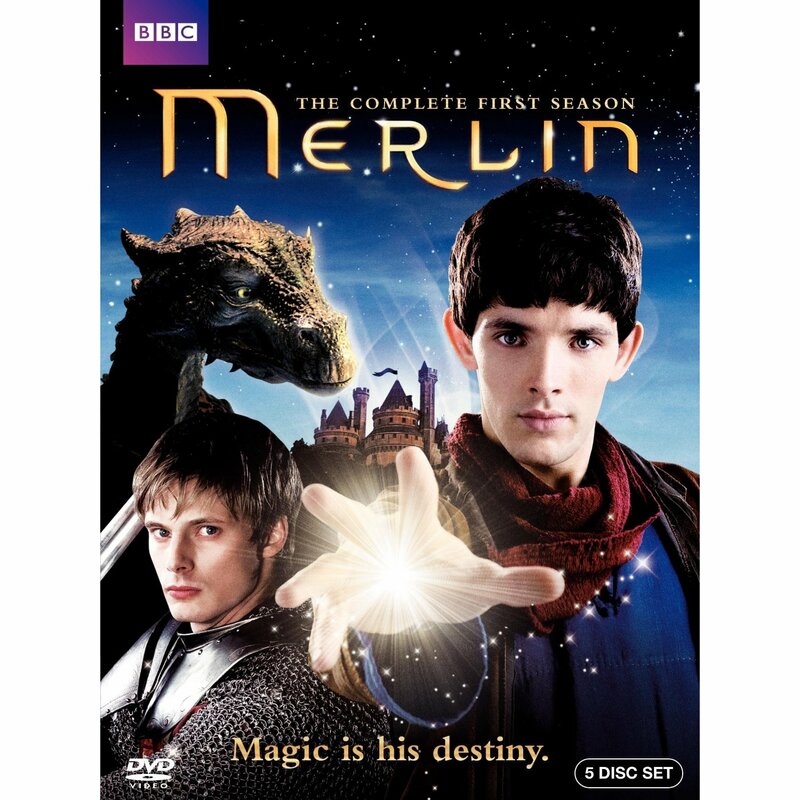 Merlin, a popular BBC TV series (aired on Syfy in the USA) is a hit with tween and young adults alike. It revolves around the adventures of the young Merlin and relationship with Prince Arthur, heir to the throne at Camelot in the mythical Kingdom of Albion. Still, this is not the typical Merlin-Arthur legend. Young Merlin is a teenager, discovering and then learning to master his magical gift. Magister Gaius, King Uther Pendragon’s court physician to whom he’s assigned as humble page, teaches him medicine, coaches his magical self-study, and warns him of King Uther’s strong aversion to magic. Merlin becomes a servant to the noble but arrogant crown prince, Arthur after saving his life from a sorceress bent making Uther suffer for the loss of her son whom he executed for having magical abilities. Both Merlin and Prince Arthur’s fates is linked with Merlin like two sides of the same coin as he is told by the last dragon held captive by King Uther. This series will appeal to those of all ages and age appropriate for all. Merlin is a new fantasy, action-adventure drama series that reinvents the story of the English Arthurian legend. Not only is this TV series about Merlin’s destiny, but that of the future king, Arthur. This legend has been slightly modernized with a multicultural cast and contemporary language. This new series adds new aspects to the legend such as Morgana as Uther’s ward, Gwen, the future queen, Merlin a warlock in hiding. The series is highly addicting and fast paced. The viewer will love re-watching the episodes over and over again along with the three newer seasons. If you enjoy myths, legends, medieval times, and magical shows BBC’s TV series Merlin will not disappoint. Even those that enjoyed Smallville’s coming of age story of Superman and learning of his abilities will find similarities in the development of characters in the series Merlin. have realy have a good time with merlin this move deserv award if it’s by voting i give my vote pls is season 5 the last season?